Welcome to Heriott Park, where we offer a range of rooms on a Bed and Breakfast basis to suit 2 people, as well as families and single travellers. 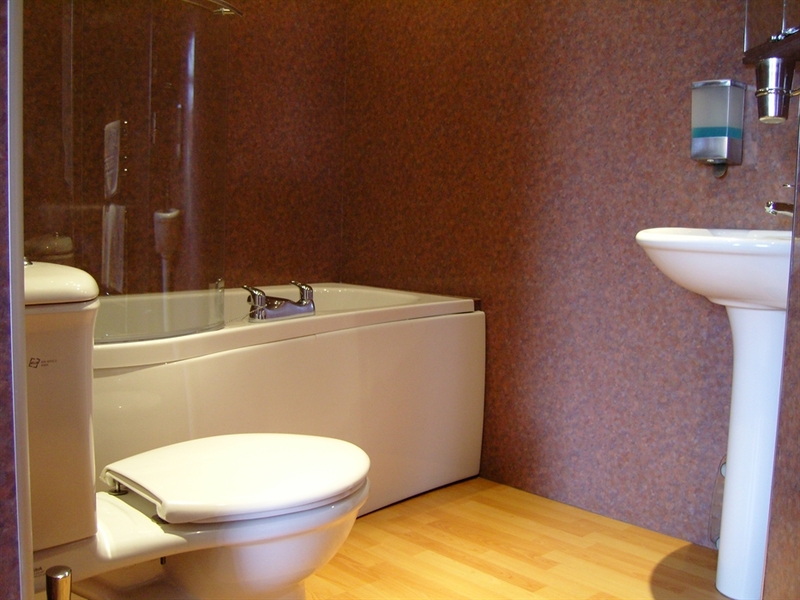 We also have 2 fully equipped self catering apartments next door for groups of up to 7 people. Heriott Park Guest House is a conversion of 2 Edwardian Townhouses built in 1903 and features a splendid oak staircase and many other original features, including ornate plasterwork. We are located close enough to the city centre to make it a pleasant 20 - 30 minute walk, or a short journey on the excellent and frequent bus service, but far enough out to benefit from free and unrestricted parking outside the house. You might even want to extend your walk to the city centre with a stroll though the nearby Royal Botanic Garden or along the Water of Leith walkway. Whether on business or pleasure, you can relax and have a good night's sleep in one of our comfortable rooms and then set yourself up for the day ahead with a traditional cooked British Breakfast, a vegetarian option or lighter snack. We are ideally located for exploring the UNESCO World Heritage Site that is Edinburgh City Centre, the historic Port of Leith and beyond. There are many historic places to visit and a wealth of Art Galleries and Museums to enjoy even if the weather is not great. The open view across the playing fields from the front of the house features the impressive city skyline.